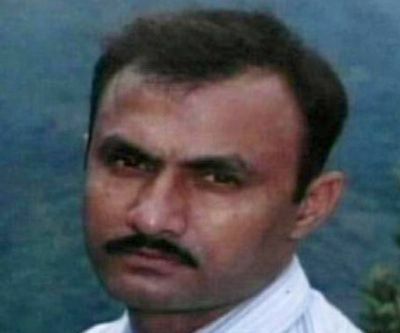 Yet another prosecution witness in the Sohrabuddin Shaikh alleged fake encounter case turned hostile on Wednesday, taking the number of such witnesses to 50 so far. Two witnesses, Manjusha Apte and Salim Khan, were examined by the Central Bureau of Investigation before special judge S J Sharma in connection with the alleged fake encounters of Shaikh and his aide Tulsi Prajapati, who were killed in 2005 and 2006, respectively. According to the CBI, Apte and her in-laws were travelling in the same bus from Hyderabad to Sangli, in which, Shaikh and his wife Kausar Bi were their co-travellers before they were allegedly picked up by a police team in November 2005. While admitting before the court that she was travelling in that bus, Apte said she didn’t see anything as she was sleeping. Later, special public prosecutor B P Raju declared her hostile. Earlier, her father-in-law and her husband had turned hostile. Another witness Salim Khan said he had represented Prajapati in a murder case as his lawyer. Prajapati, an aide of Shaikh, was killed in an alleged staged encounter in December 2006. Khan, who practices in Udaipur in Rajasthan, told the court that Prajapati used to tell him about the threat to his life from the police. Till now, the CBI has examined 73 witnesses in the Sohrabuddin Shaikh alleged fake encounter case. A court in Mumbai had last October framed charges against 22 people including police officers for murder, abduction and destruction of evidence in connection with the alleged fake encounter of Shaikh near Gandhinagar in Gujarat on November 26, 2005. Shaikh, an alleged gangster with terror links, and his wife Kausar Bi were allegedly abducted by the Gujarat Police's Anti-Terrorism Squad from Hyderabad on their way to Sangli in Maharashtra in November 2005. According to the prosecution, Shaikh was killed in a staged encounter. Kausar Bi, who disappeared, was also allegedly killed later. Prajapati was allegedly killed by police at Chapri village in Gujarat’s Banaskantha district in December 2006. A fake encounter of justice?